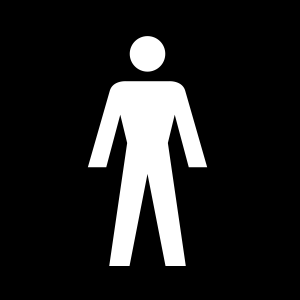 Prostate Cancer UK Online Community » Diagnosis » Being diagnosed with prostate cancer » Dad just diagnosed - looking for help. Dad just diagnosed - looking for help. My dad was just diagnosed yesterday with PSA 11 Gleason 7. He is to have a bone scan so they can check if it has spread but the nurse specialist told us that in 34 years, she hasn't seen someone with PSA of 11 have any spread to bones so 🤞. He's 69 and had a brain haemorrhage 3 years ago but has recovered relatively well from that and still drives etc. They've already said that he can't have an operation because of this so, as long as it's not spread, he'll have radiotherapy 5 days a week for 6 weeks. This is the last thing we needed as a family as I was diagnosed last year with stage 4 kidney cancer. My father-in-law has prostate cancer too but his was already wide-spread by the time he was diagnosed last year so his treatment is palliative. Don't know how much more we're supposed to take 💔. Has anyone else had a similar level of diagnosis and treatment that I can let him know what it was like? Sorry to hear your news about your dad, I was diagnosed with PC last month with a Gleason 3+4 PSA 11 and I was told it was unlikely to have spread to the bones, unfortunately in my case it had, I'm 63. Hope the scheduled radiotherapy gives him a long period of remission. Sorry for all your misfortune.For your Dad this sounds like a good option. My oh had similar number of rt sessions and did very well for a number of years with intermittent ht. 8 years on he is still doing well on new treatment regime including ht injection every 3 months. There are several treatment options if psa rises and many men have good quality of life despite having ongoing treatments. Try to stay positive and give yourself time to get over the initial shock. Oh JasperM I'm so sorry to hear that. Have they told you what treatment they have in mind for you? Thanks everyone. I'm hoping he gets the scan sooner rather than later so we know what we're dealing with. Somehow it's not as scary when a plan is in place. I know the feeling about fainting Paul - hope everything goes well now after your surgery . I'm glad to hear that your husband is doing well too Gillyj. I 'm definitely one of these people who need to know as much as possible when dealing with these things. Hopefully your dad has started his treatment. I have just completed 4 weeks of RadioTherapy and fortunately had very few side-affects. My initial PSA was 14.8 and now waiting for an appointment to see what it is now. Most people at the clinic seemed to be coping well; even those who had daily treatment for up to 45 days. So I hope your dad has some positive results and will be in remission for several years. My thoughts are also with you; as I started the cancer trail in 2014 with Kidney cancer (removal of right kidney); followed by secondary kidney cancer last year (removal of 2nd rib & tumour) - they spotted my prostate issues during bone scans. Have to continue with 3month Hormone treatments and hope to get the all clear for another year or two, on both cancers by the end of November.